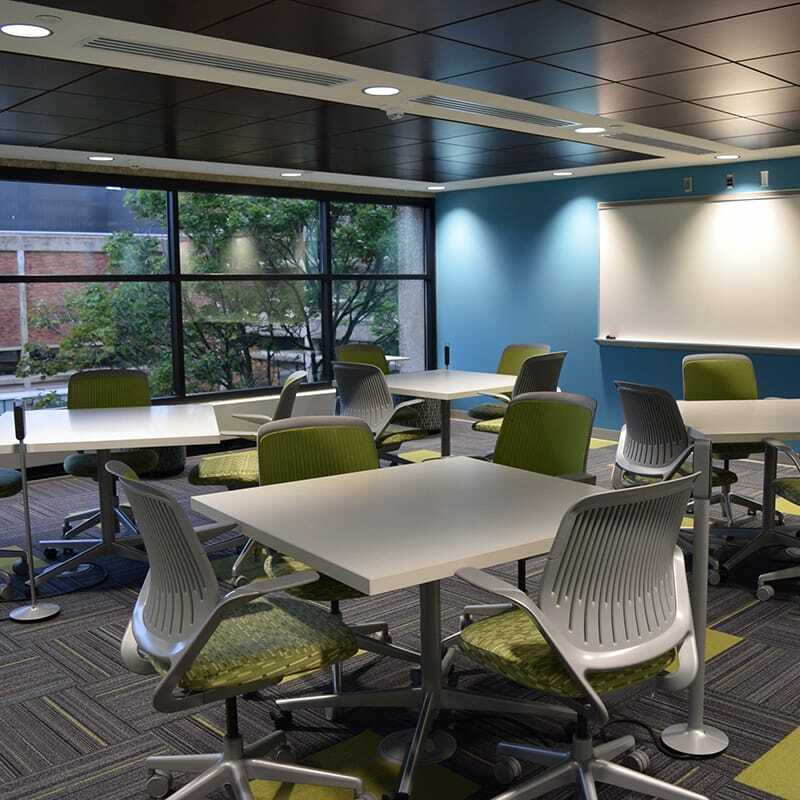 A collaborative team approach led to success on Lakeland Community College’s first construction management at risk project. 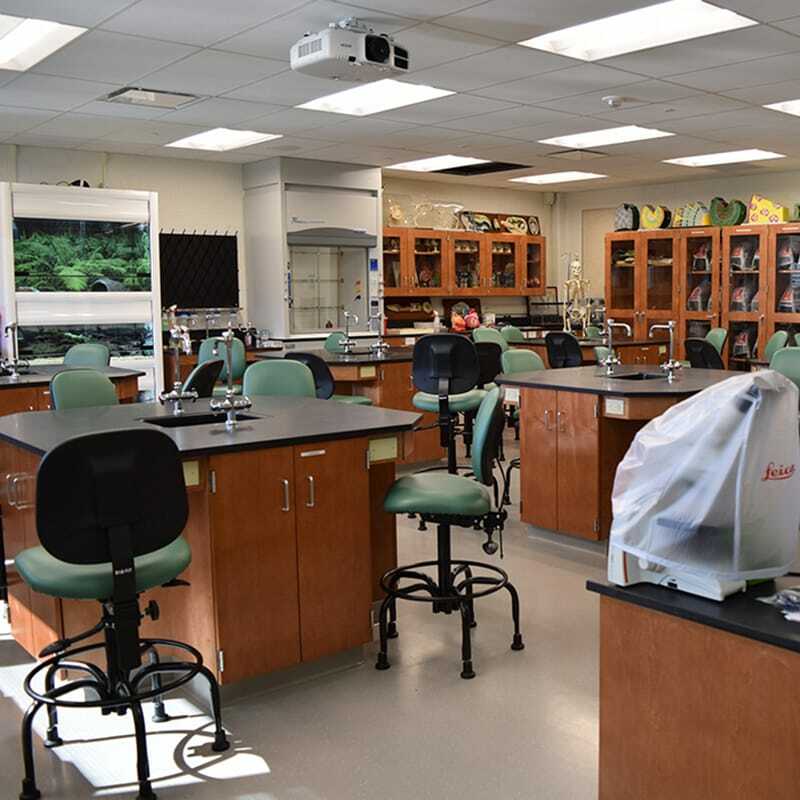 The Third Floor Science Hall Renovation at Lakeland Community College totaled 32,600 SF and was performed over three separate fast-track phases. Each phase was completed over the summer months on 69-day schedules to ensure classrooms were ready for fall classes. 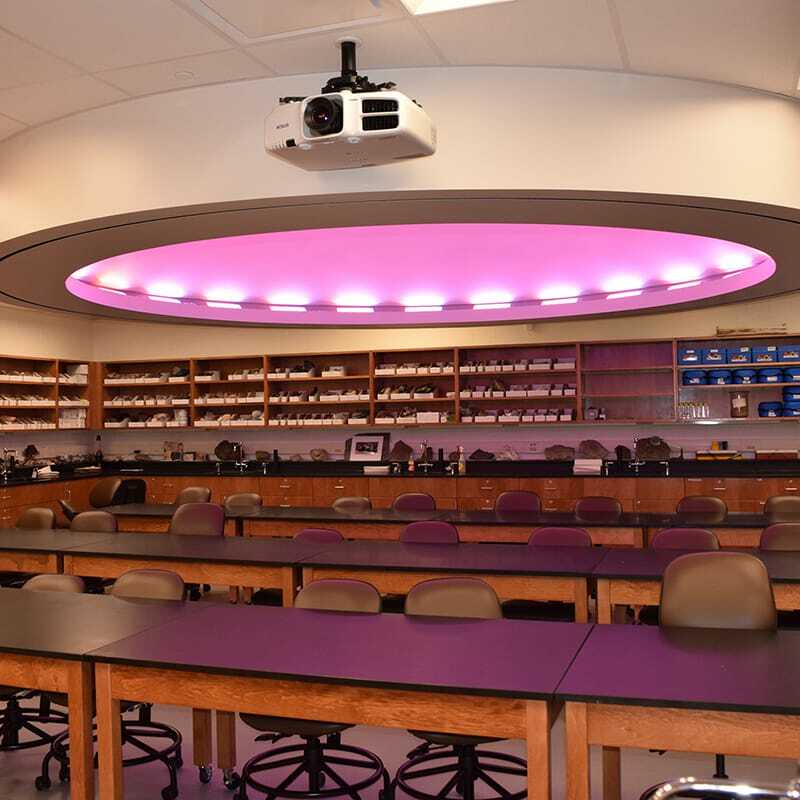 The renovation to transform the third floor took place in several academic settings such as chemistry and biology laboratories, anatomy and physiology laboratories, student lounges and several prep rooms for faculty. A new planetarium was installed in one of the classrooms as well. Material management planning was paramount during each phase of the renovation. With limited laydown areas and no freight elevators, the project team communicated with all user groups to successfully plan how materials were entering and exiting the third floor of the building. Prefabrication and long-lead item management were critical to implement ensure the short schedules were kept on track. In order for the project to be completed before students returned in the fall, contractors worked multiple shifts during each the three-month, fast-track schedule. Although it was summer, work was phased to prevent disruptions to ongoing academic and administrative activities occurring in the building. The project was completed on schedule and ready for the first day of classes after each phase, with no lost time accidents through the duration of the project. The key to success for the successful renovation was the dedication of the project team and their commitment to advocacy for Lakeland Community College. The team worked closely with subcontractors to ensure the safety of students, faculty, guests and project team members, drove a focused schedule and continuously communicated with the college.